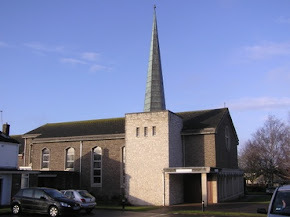 Welcome to the website of the parishes of St Augustine of Canterbury, Downend and St John Fisher, Frenchay. If you or a family member are in hospital and require an urgent visit from a Priest, please ask the Ward Manager to contact the Priest on call using the hospital 'pager' system. There is a rota in place to cover all the Bristol hospitals 24 hours a day. They will not automatically do this for you... only on request.